If there's one shop that I'm really obsessed with (and willing to drive to another country for) it's Zara. If you've been following me on Instagram, you might've noticed on Stories that I took a road trip a few days ago to Canada just to go to Zara! Sadly, Rochester or even upstate NY doesn't have one so it's either online or driving to a ridiculously far place. I was shocked to find out that Canada had started the Zara summer sale early and I found myself searching through rack after rack along with all the other Zara-holics and unfortunately coming out with only 2 things. Yet the sale has officially launched online and in stores for us Americans so I thought I'd share my best tips to take advantage! Notice some sizes missing from your favorite items? Or that the site seems kinda empty compared to last year's summer sale? Both online and in stores, throughout the upcoming weeks Zara will restock a lot of their sale items or even mark down new stuff that wasn't there before! That's why I highly recommend checking the site weekly until the sale is over because you never know what they're going to put up so don't lose hope if some sizes aren't there. My cousin actually works at Zara and told me that they specifically start the sale at 10-20% off and in the upcoming weeks will mark everything down even lower. The problem is many items sell out quickly (especially online) so you have to make the decision to either buy it for a small discount or risk waiting a few weeks and possibly getting it for a better deal. Something that annoys me about this sale is that not every item will be marked down in the future. For example, jackets and coats will most likely stay at 20% off the next couple of weeks while tops and skirts typically get marked down up to 40-50% off. Keep this in mind when you're thinking about how badly you want to buy something haha. Some things are just worth buying right now even if it is a small discount! 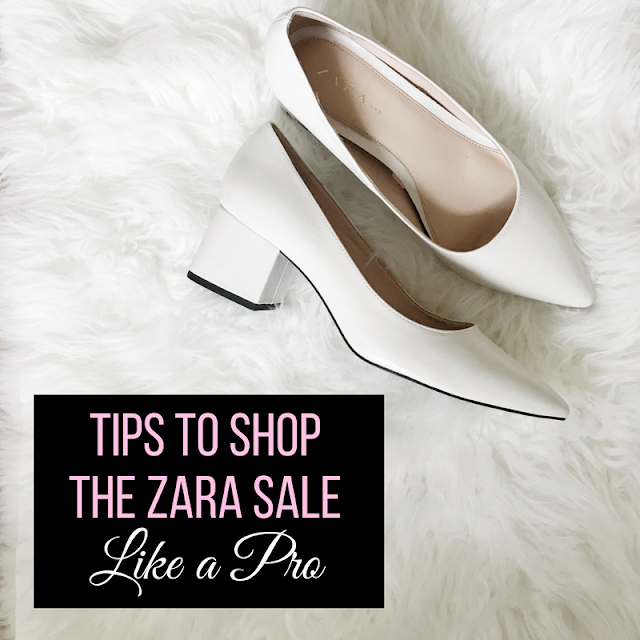 Zara sizes can be very inconsistent and when you're shopping the sale online, it's nice to know that you're free to return any items that don't work out and can get a full refund for it. Nothing is final sale! Personally I wish the Zara summer sale included the small amount of the fall/winter collection they have in stores/online already but unfortunately it doesn't. The sale only includes spring/summer items as well as a few pieces that might've been left over from last winter. I've never really shopped at ZARA all too much because their items can be pretty expensive! Thanks for all of these sales tips because I am ALWAYS down to save, lol!